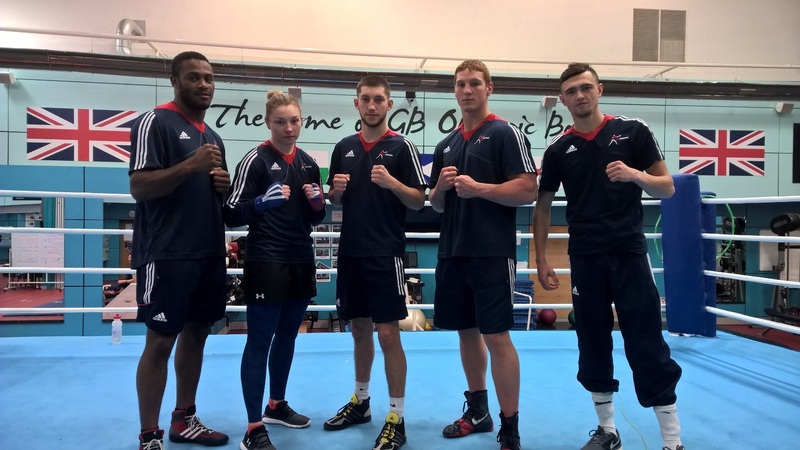 It’s an exciting start to 2017 for GB Boxing as they kick off the year with five new members joining the Podium Potential squad. The latest Olympic prospects joining the team at the GB Boxing headquarters in Sheffield include one Welsh, one Scottish and three English boxers. All boxers were successful in completing the GB Boxing assessment process and will now take part in a three-month trail with the team. Cheavon Clarke and Scott Forrest both competed in the recent GB Boxing Championships, held at the English Institute of Sport, Sheffield in December last year. Spectators saw a very competitive bout between the now GB Boxing teammates, Clarke beating Forrest by unanimous decision. Welsh boxer, Lauren Price had a great end to her year as she was crowned European Bronze Medallist in November’s Women’s European Championships, Bulgaria. She faced GB Boxing’s Natasha Gale in the semi-final at the major international tournament, losing out on her place in the final as Gale beat her by split decision. As part of their training programme the new team members will join the rest of the Podium Potential squad in an overseas training camp in Gerena, Spain at the end of January. Mark Geraghty, Podium Potential Planning Coach said: “It’s always great seeing new boxers come through the performance pathway, especially this group as we have boxers coming onto the programme from each of the home nations.